An escaped Sudanese slave boy befriends a baby giraffe and accompanies it on a perilous journey to the shores of France. 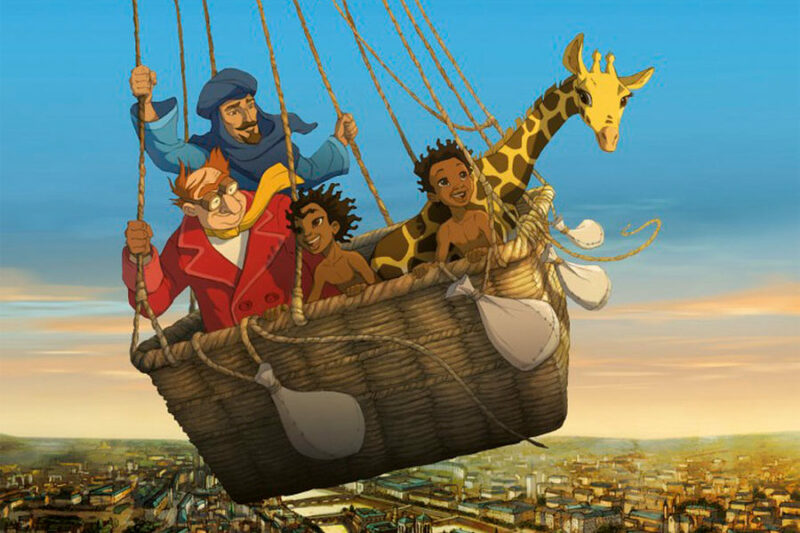 During the epic trip that takes them from Sudan to Paris, passing on the way through Alexandria, Marseille and the snow-capped Alps, they have many adventures, crossing paths with the aviator Malaterre, a pair of unusual twin cows called Mounh and Sounh, and the pirate queen Bouboulina. Book via Lewes Depot HERE.